Ebbets Field Flannels has been hand-crafting authentic reproductions of baseball shirts, caps, and more from historic teams all around the country – from right in the heart of Pioneer Square in Seattle. To celebrate their 25 years in business, they have a brand new facility and retail store on Jackson. 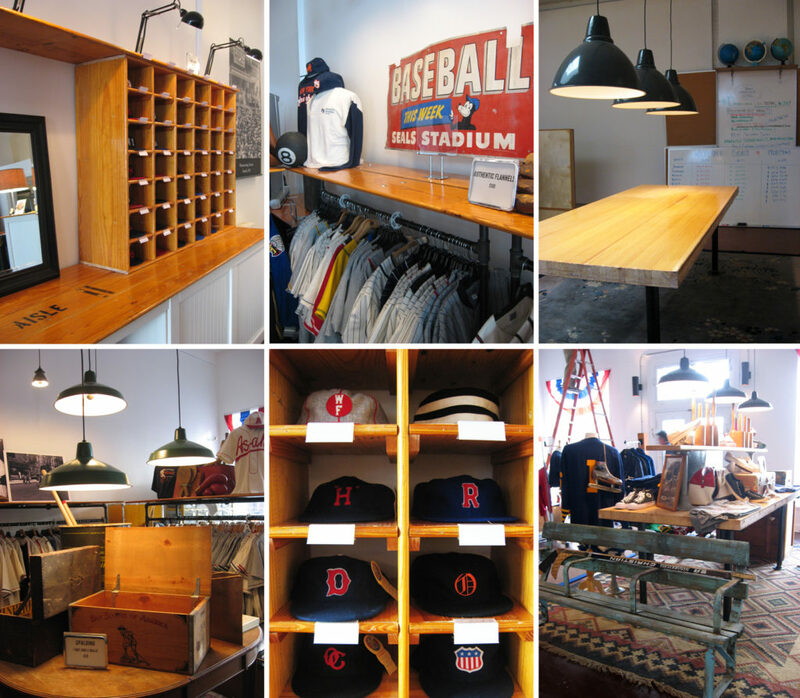 Almost all of the details and displays are salvaged and repurposed – including lighting fixtures, globes, crates, benches, and lockers. And many of the build-out details are made from bleacher board made of Southern Pine that The RE Store brought back this summer from Prairie High School in Battleground, Washington. This dense yellow pine, most likely installed in its original use in the 1960s, has a new life as many great warm details throughout the space in their caps storage, rack tops, counters and more. They’ve also built table tops out of a piece of bowling alley that found its way back to The RE Store – having already had a repurposed life before this latest incarnation. 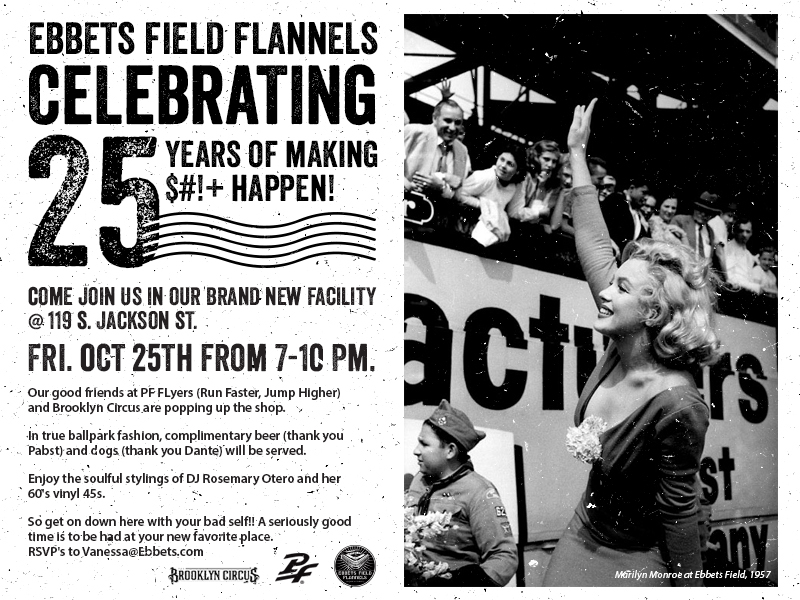 To celebrate 25 years and a new space, Ebbets is hosting an open house this Friday evening – complete with beer and dogs. Check out the invite above – all are invited! It is a great space to get some REuse inspiration. Get inspired and then come find that special material for your own projects in Ballard or Bellingham!